Whenever I’ve visited Washington, D.C., touring the monuments and the Smithsonian museums has been a thrill and an education. But even though I’ve walked past the White House and the buildings that house many of our federal agencies, I’ve never actually been inside them. Even if I had, I’d probably never learn the things I did from writer/journalist Michael Lewis. The U.S. Department of Agriculture has an even bigger budget than the Department of Energy–$164 billion vs. $30 billion in 2016–so it makes sense that somebody or many somebodies would want to take a magnifying glass to all the line items. But why leave that job solely in the hands of the politicians? I imagine that’s what Michael Lewis thought when he let his curiosity lead him through the labyrinth halls of the D.O.E. and the U.S.D.A. He reported back in the pages of Vanity Fair magazine in September, and then again in this month’s issue to talk Agriculture. In another writer’s hands, the two stories might have turned into a big yawn. But remember, Michael Lewis is the guy who turned boring nouns like Sub-prime Loans and Credit Default Swaps into a roller-coaster ride of a story in his non-fiction book The Big Short. The movie version came out two short years ago. A lot has happened since. And, if you’re currently disgusted by the non-stop headlines about VIP sexual predators/harassers who’ve been getting away with it for years (some of whom are now dropping like mosquitos), here’s your chance to read about a few good men (and women) and learn something about the U.S.D.A. Why am I writing about this in a blog dedicated to the arts? After seeing the film Dunkirk, which I discussed back in August, I promised myself (and you, too, dear reader) to stay focused on the Big Picture. Obviously Vanity Fair enjoys a much bigger readership than I do, but even people who read the magazine may not have had time to delve into Lewis’s lengthy articles. So here’s the abridged Cliff Notes version. 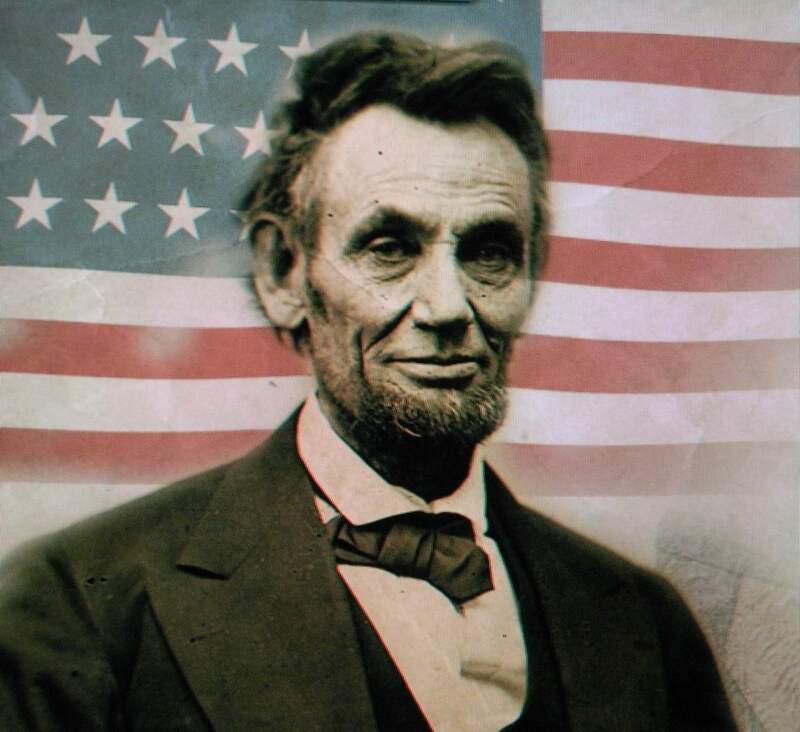 In 1862, in the middle of the Civil War, President Lincoln created the U.S.D.A. after deciding that farming should be more efficient. If less people were needed to run the farm, those who were freed from the plough could do other useful things. As a result, we’re no longer an agrarian-based society even though we have oodles more mouths to feed. Today the average American farmer feeds 155 other people, as opposed to 4 in 1872. Milk production is way up, too. Today’s average cow produces 23,000 pounds of milk, up from 5,300 pounds in 1950. That’s progress. It’s also science. So of course Michael Lewis wanted to talk to the agency’s Chief Scientist. There wasn’t a new one yet, but Dr. Cathie Woteki had held the job during the last six years of the Obama administration. In graduate school, she’d switched out of biochemistry because her male professors told her she was a poor investment (she’d have babies and drop out!) and refused to give her any assistantships. She switched to Human Nutrition and found herself in an unexpected but rewarding career path. She told Lewis that the effects of Climate Change were the #1 issue driving much of her department’s research. “Changing temperatures and changing rainfall patterns will force changes in the way crops are grown and livestock are raised,” she said. How strange, then, that when the Trump transition team arrived (late, about a month after the election), they instructed the staff to stop using the term “climate change.” Then again, they never bothered to interview the departing Dr. Woteki–Chief Scientist–to find out what she knew or what her concerns were. “There is already good science that isn’t being funded,” she said. “That will get worse.” Junk science will be used to muddy issues like childhood nutrition. Maybe sodium isn’t as bad for kids as people say! There’s no such thing as too much sugar! The science will suddenly be “unclear.” There will no longer be truth and falsehood. There will just be stories, with two sides to them.–Michael Lewis, in Made in the U.S.D.A. for Vanity Fair. Before he was hired by the U.S.D.A., Concannon was so good at his job that governors of three states had hired him. He could have made big bucks as a lobbyist for the food or drug industries, but he liked helping people in need, and accumulating wealth wasn’t that important to him. Once upon a time, his Irish immigrant parents were struggling with a terrible burden. One of their seven children had a serious illness. Then, out of the blue, two social workers from the Veterans Administration knocked on their door. The “angels” counseled the parents and put their son on a new medication. It helped a lot. The family’s life changed immeasurably for the better. Eighty-seven percent of that money goes to households with children, the disabled, and elderly. “The idea that we are going to put these people to work is nonsense,” said Concannon. Able-bodies adults on food stamps are required to work, or attend job training, for at least 20 hours a week. . .The problem with the program is not that people are cheating it. The problem with the program is that people who should be on it are not. Food stamps are no longer stamps, they’re cards with pin numbers. They say it’s drastically reduced fraud. All I know is $70 billion implies a lot of human need. What will happen to these people if there’s a big budget cut? Right now private food banks dole out only $8 billion of food. Could they possibly make up the difference? So far I’ve touched on only three of the seven departments. They all do important work, but I’m going to wrap this up by telling you about two more. What she fears isn’t so much the bad intentions of the people who fill the jobs she once did. She fears their seeming commitment to scientific ignorance. No big chicken company wants to poison a bunch of children with salmonella. But if you speed up the slaughter lines, you need to make the new speed safe. In other words, ignorance is bliss until something goes wrong. When Lewis was finishing his research at the end of the summer, only the new Secretary was in place. The Administration had yet to fill the other 13 top positions. Rural Development. The former undersecretary is a native Texan who grew up poor in a Republican-leaning family, in a little town not all that far from where I live. Lillian Salerno attended UT on a grant. Long story short, people she knew started dying of AIDS in the late 80s. Part of the problem, she learned, was that nurses were afraid to treat them. She came up with the idea of a retractable needle and hired an engineer to design it. She started a successful manufacturing plant in her home town, but a big competitor tried to drive her out of business by pressuring hospital companies to buy their inferior needle. It kind of back-fired; she won a big settlement. At the U.S.D.A., “Her department ran the $220 billion bank that serviced the poorest of the poor in rural America,” Lewis reported. A bank inside the department? Yes, and it gives out low interest rate loans and a few grants, mainly in towns with fewer than 50,000 people. Money for fire stations. Drinking water for rural Alaska, which wouldn’t have any otherwise. Many of the towns and people who receive these loans don’t know the federal government is behind them because the money is often funneled through local banks. The GOP is recklessly and foolishly dumbing down everything they can – from education, to farming, to food production, to banking, to medical care, to cite but a few – all in the name of “freedom.” This blog perfectly outlines but a few of the maneuvers that the GOP utilizes to recharacterize freedom to mean “Freedom for corporate Amerika to enslave its workers, and privatize and monetize everything they can touch with their greedy hands.” When the new FDA succeeds in drastically increasing the Amerikan obesity rate, those fat angry people will listen even more to the GOP rants that limousine liberals are taking away their freedoms, and in that anger will continue to vote against their own best interest, while the corporations laugh all the way to the bank. Because the GOP has perfected “Divide & Conquer.” So no one with a brain or the ability to think and reason should be surprised at the current efforts to privatize the Rural Development Bank mentioned at the end of this piece. Great work Pam! And thanks again to Michael Lewis for warning us before the 2007-08 financial crisis. Keep alerting and warning us – maybe after a dozen or so financial crises Amerika will finally listen up, and maybe become America again. Thank you, Michael. I do fear for the assets in that bank. As Salerno said, investment bankers might do things like privatize water so that rural Floridians end up paying $75 a month for water instead of $20. I agree about the dumbing down aspect of this administration led by a man who seemingly has no capacity to grasp just how complex running an even modestly effective government is compared to a business with a marquee name and a murky track record. As the Washington Post reports, the written daily briefing this president receives has been scaled down on text, with more “graphics”. It does include, however, references to matters left out of the oral version since the staff has been instructed not to mention certain things out loud for fear of incurring his wrath. This includes relegating the ongoing investigation into the Russian/Putin issue to the presumably unread written briefing. I would imagine ‘climate change’ issues are buried in there as well. But with so much of the focus on the wealthy and middle class (I don’t recall hearing the words “poor” or even “working poor” in the debates from either candidates), and with the markets happily bullish in this morally vapid environment, it should surprise no one that the poor will have to do with even less until another, less indifferent president is voted in. Thanks so much for your comment and sorry it was so slow to post (it was held hostage by the hosting gods for no good reason). The WP and other reliable news services have done a great job reporting on the stuff you mention. Too bad more people aren’t reading the newspapers, for starters. If we ever do elect another billionaire/populist president, I hope it’s someone like Oprah. I doubt she would overlook the poor or “working poor”, nor would she shut her eyes and ears to issues that seem uncomfortable. Make that “morally bankrupt” (not vapid).